I have recently fallen back in love with Stampin' Up! thanks to My Paper Pumpkin! You all know I love my monthly subscription boxes so when I discovered My Paper Pumpkin I was hooked! You get everything you need to make different cards or sometimes a project with instructions included. They include everything! And its only $19.95 a month. 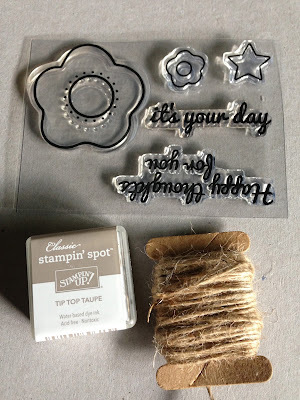 I have been having so much fun with My Paper Pumpkin and everything else that Stampin' Up! has to offer that I signed up to be a demonstrator! You can use my referral link here to join in on the crafty fun with My Paper Pumpkin today! 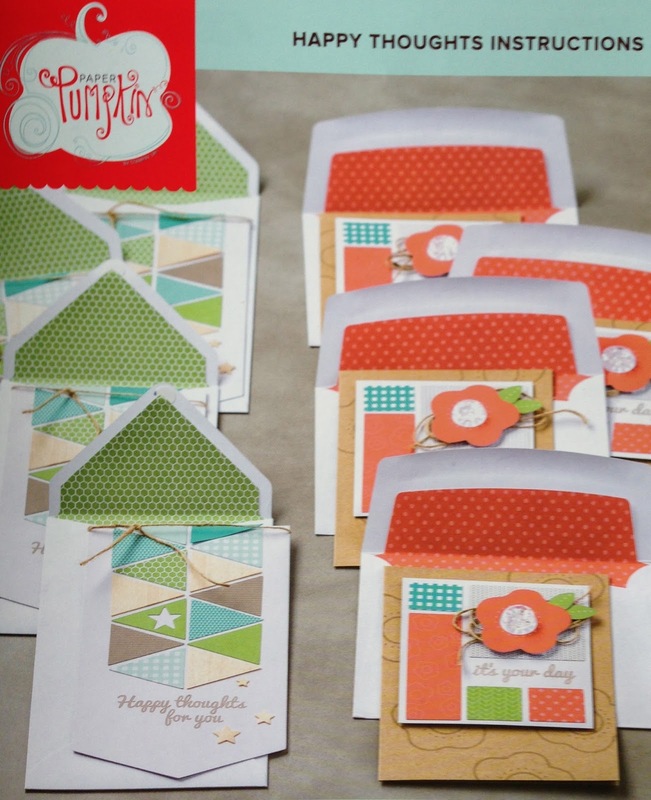 The June 2015 Kit titled Happy Thoughts came with all the supplies needed to make 8 cards with lined envelopes. 4 each of 2 different designs. I'll show you what I did with the flower cards today and I'll share what I did with the banner cards next time. Sometimes I like to see how many different looking cards I can make with my Paper Pumpkin Kit, but this month I loved the flower card so much that I stuck pretty close to the original design for all four cards. This is the card I made following the exact instruction, above. 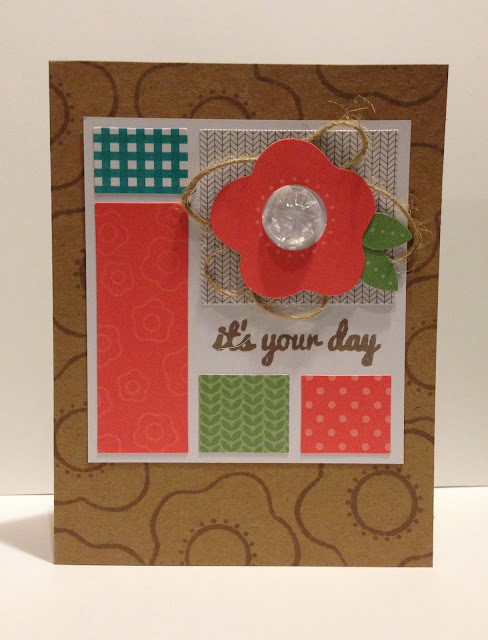 For the other 3 flower cards, I tweaked it a bit by adding a banner die cut and a thank you die cut for the sentiment. 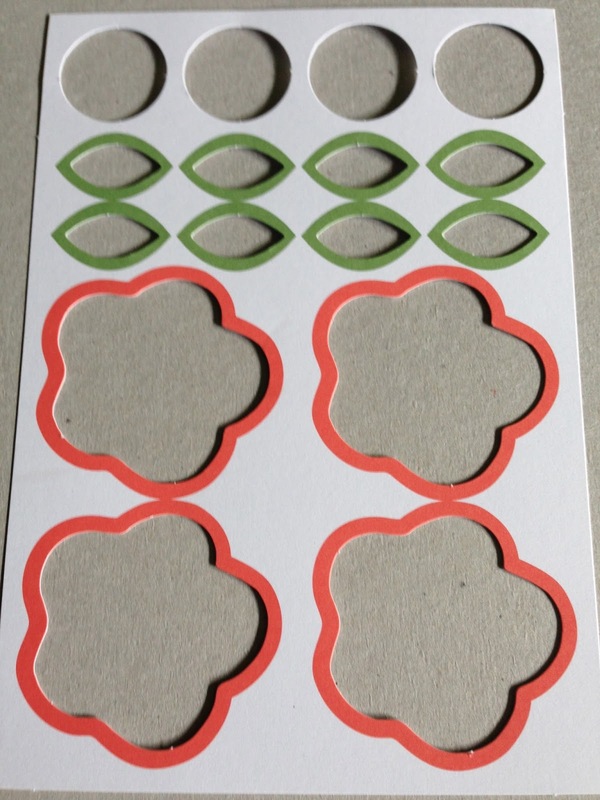 The flowers were all made from this easy to punch out sheet. 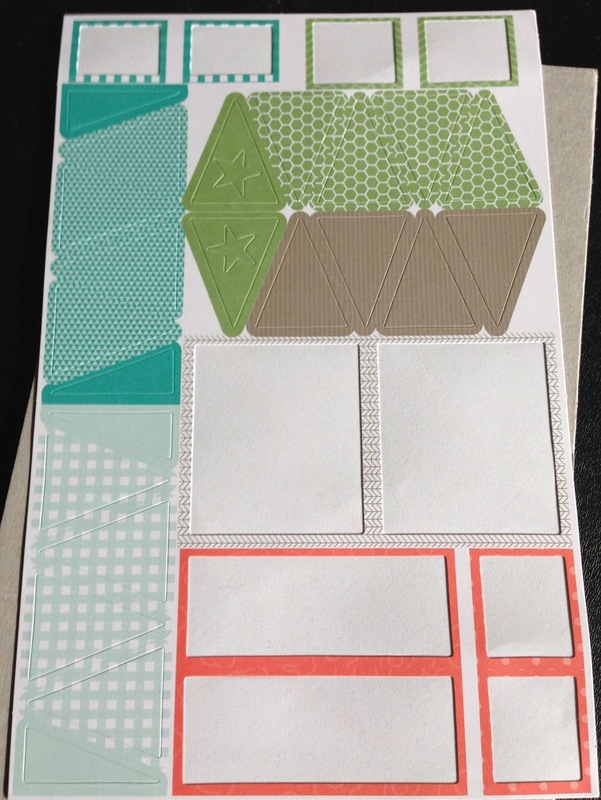 All of the "patterned papers" were really stickers from this sheet. No cutting or adhesive needed! This is the stamp set and mini ink pad that came with this month's kit. And I still have all that twine leftover after making my four flower cards!